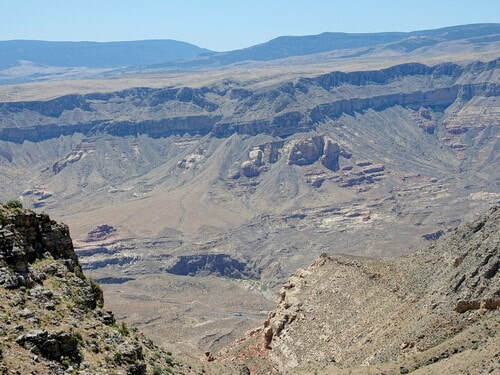 Overlooks of Virgin River Gorge on a scenic trip through high open ranchland above St. George. 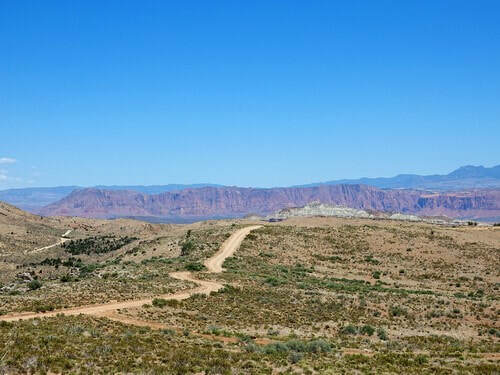 This trail begins in a residential area of St. George then makes a big loop around high country southwest of the City. 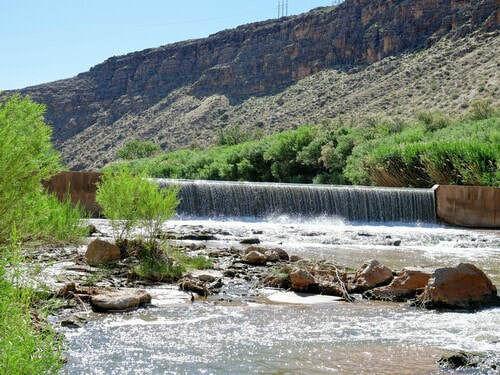 There are 4 overlooks, plus an optional 3.0 rated hill to the shore of the Virgin River at a dam for a river flow gauge station. Most of the roads in the high country are well graded and rated as GP. Overlook 4 and the north part of the loop are a weak 2.0. This description is in a clockwise direction. The first two overlooks are above the really deep gorge, but are still well worth a visit. 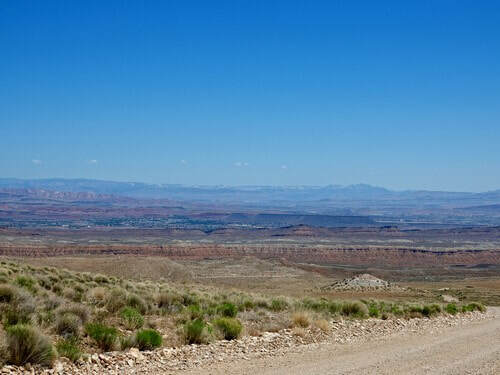 ​Any vehicle can drive to Overlook 2, but the road beyond that is a different story. 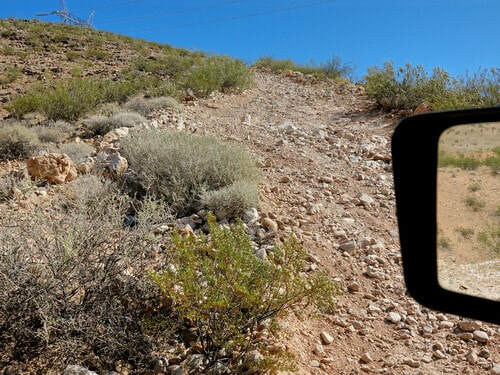 There is a steep hill with very loose rocks. Be sure you can make it back up before you start down. We rate the hill 3.0. Going down the hill will take you to the shore of the Virgin River. There you will find a dam used with a gauging station to measure river flow. There are open views through all but the very last part of the trail. Very enjoyable. 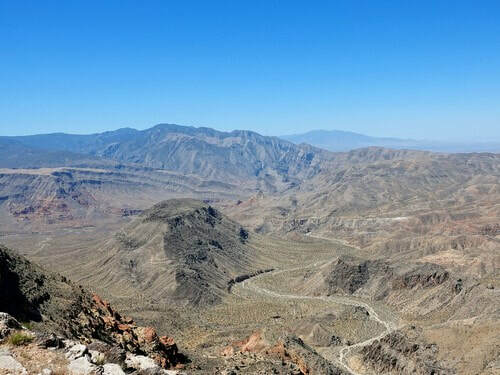 Take a spur road down to Overlook 3 where a VERY sharp eye will see a truck on I-15 in the bottom center of the photo. Take another spur to Overlook 4 (opening photo of this page). 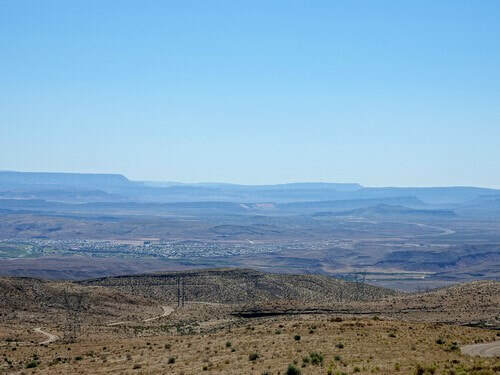 I-15 is also visible from this location, but it is not obvious in the photo. The spur to Overlook 4 is rated a weak 2.0 because of a few rocks and one ledge. 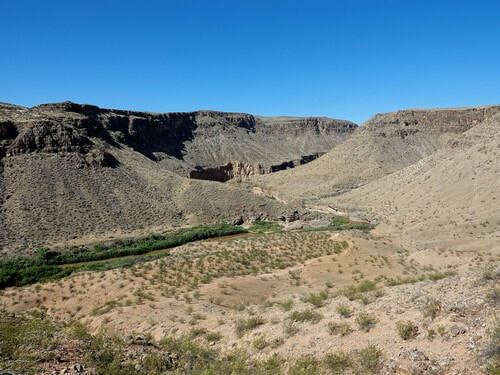 ​Head north from these spurs following a high ledge above Cedar Pockets Wash. 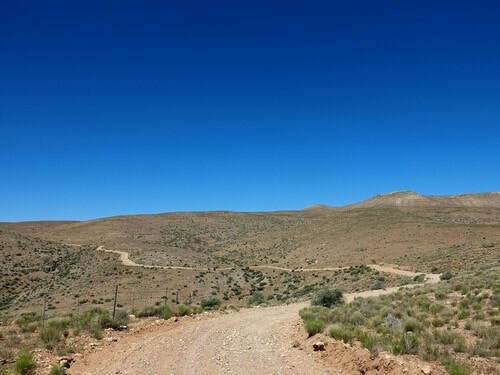 The northbound leg ends by dropping down into Mine Valley and joining the Joshua Tree Scenic Road GP for a short distance. Turn off the Scenic Road and drive east toward the beginning of the trail. 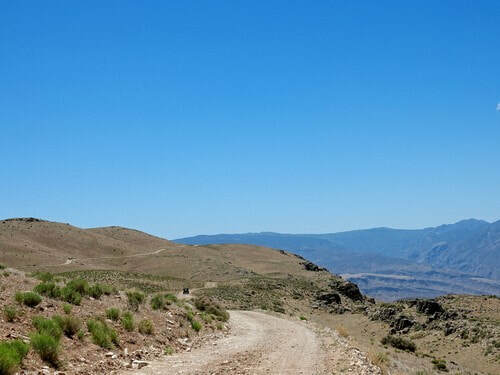 This section has nice views at the beginning, but the last part is all in a wash without much scenery. 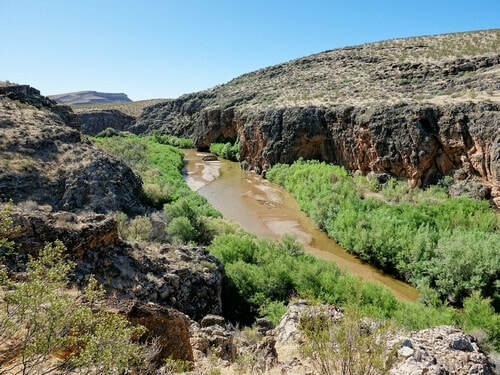 Sections of the wash are a weak 2.0.